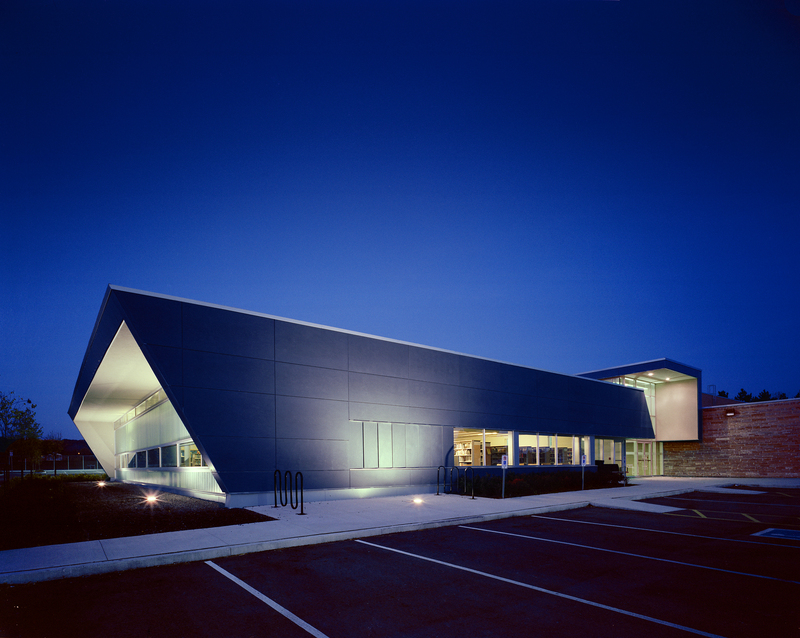 This combined library and community centre facility is an exciting destination and focal point of social and recreational gathering for the north-west Burlington community. 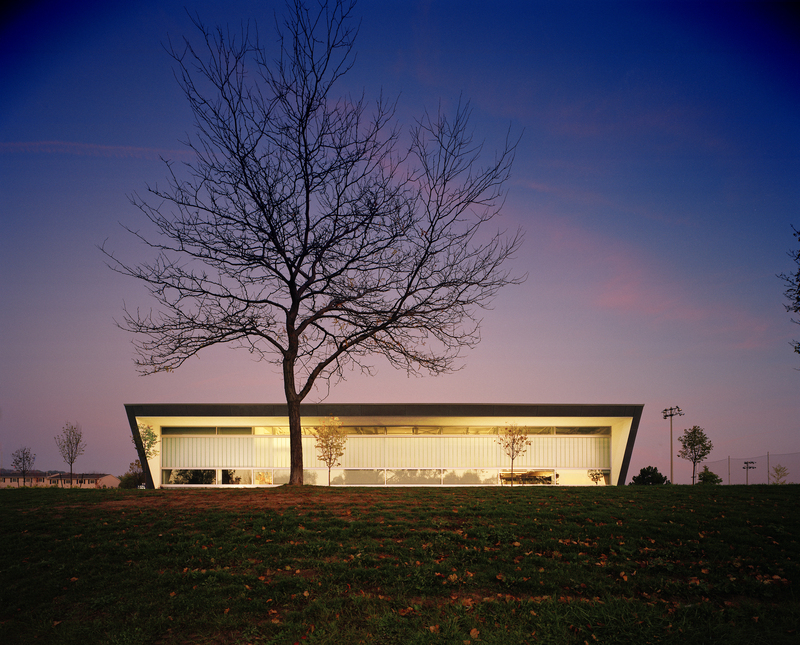 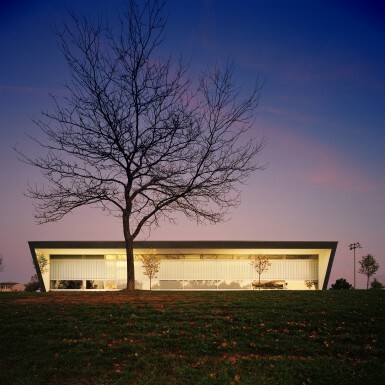 The integrated building is a welcoming, animated and lively space that is used year-round. 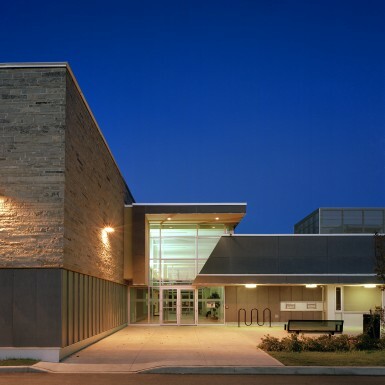 The library addition, located on the south side of the community centre, overlooks a natural ravine. 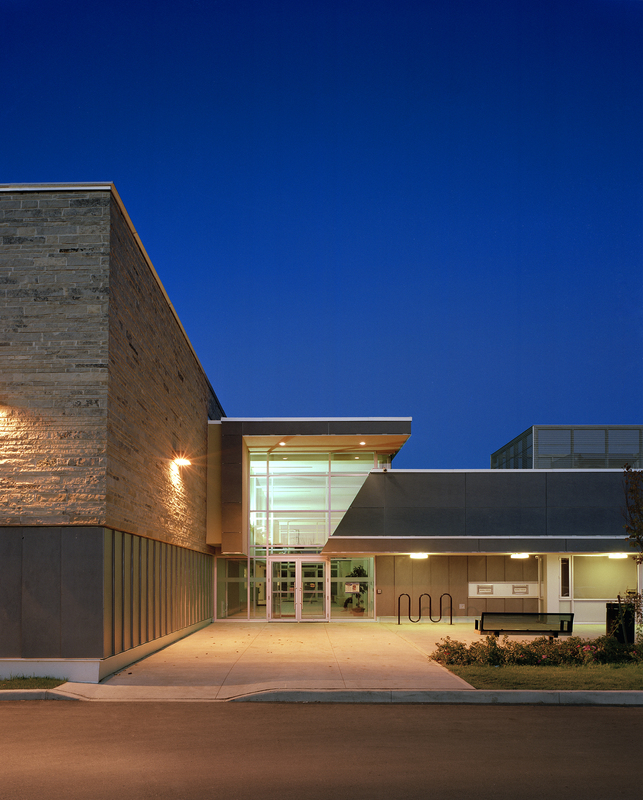 The community centre expansion includes a multi-purpose gymnasium, offices and an enlarged integrated lobby. 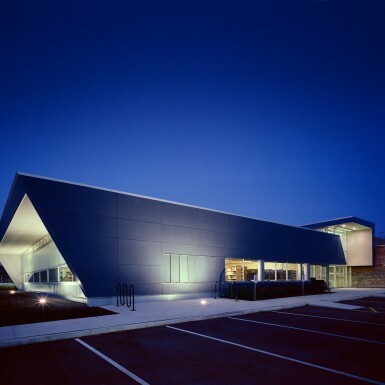 A new large art gallery space connects the library to the rest of the facility and serves as a communal gathering area for the community.